Apple will never make an iPod with video playback, said Steve Jobs. Obviously, the company not only produced a video iPod, they’ve also did an about face vis-a-vis 7-inch tablets. Part of what makes Apple brilliant is its ability to turn on a dime. That said, many observers are discounting the possibility of an even larger — 4.8 inch — fruit flavored smartphone come June, but the iPhone Math is a beautiful idea nonetheless. Tapscape was among the first to break the iPhone Math story. However, the news was greater by a lot of skepticism, but the truth of the matter is still unclear. What’s in a name? Clearly, if Apple does announce and ship a 4.8-inch smartphone model, it quite obviously won’t be marketed as the “iPhone Math.” That just won’t happen. Assuming such a device is even real — Apple most assuredly has developed large-size iPhone prototypes — perhaps “Math” is just an internal codename. Why would Apple offer a 5-inch class device? Simple, Samsung’s Galaxy S III, among others, has shown that consumers really like the form factor and that such devices offer unique advantages. Yes, holding a Galaxy S III up to your head does look stupid, but who makes phone calls anymore? Also, Apple CEO Tim Cook said yesterday that Apple had put a lot of effort into getting the iPhone 5 size right — useable in one hand — and pooh-poohed the idea of going large. Fundamentally, Apple isn’t a company that obsesses over speeds and feeds, let alone bullet points or products they could sell just to make money. 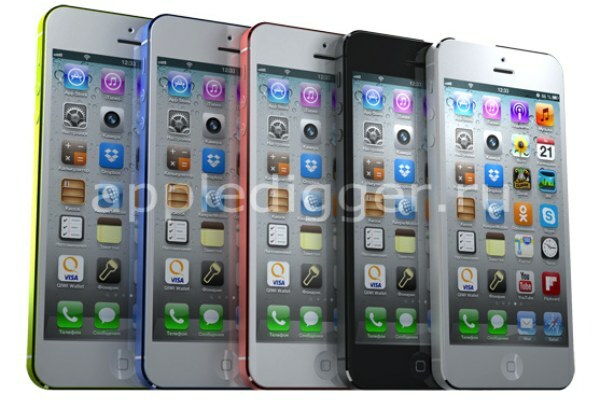 However, Apple is a company that focuses on customer needs and people really like bigger smartphones and/or phablets. Are you willing to wait for a 4.8-inch iPhone?